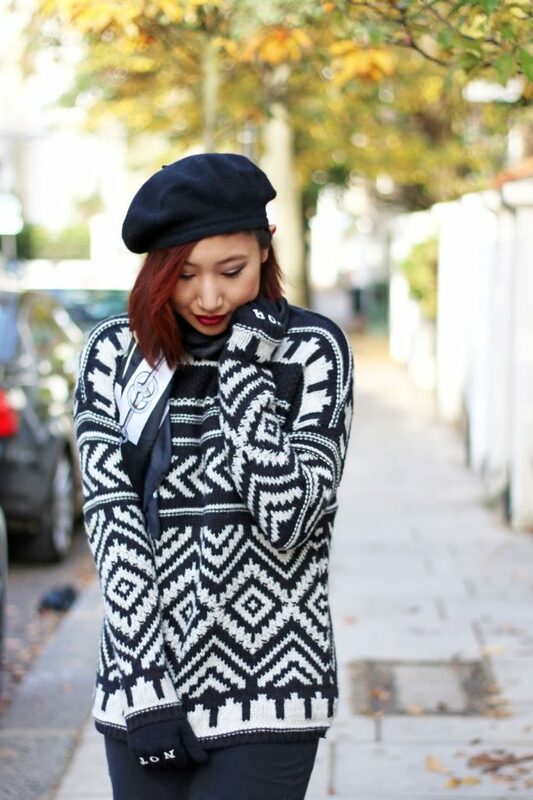 The best thing about autumn and winter is the opportunity to layer up and wear big chunky knits on top of everything! Chunky knits go well with pretty much everything including bodycon dresses and mini-skirts. My favourite thing about knitted jumpers is that they are a fun and cosy alternative to a big winter jackets! Most high street shops have updated their stocks by now to include super cosy jumpers! I’ve recently spotted many knitted jumpers that I would like to buy, but the one that really caught my eye is this Black Premium Aztec Knit Turtle Neck Jumper* from New Look! It’s a super simply jumper, but the cute Aztec pattern makes it stand out! I’m like the queen of prints, so this was totally up my street! I was meaning to wear this as a jacket alternative, but it’s so cosy that I’ve ended up wearing it inside and outside! If you’re looking for more cosy jumpers like this, then New Look is your hit! Disclaimer: This product was sent to me for review, but the views are my own!